The governments of Canada, Brazil, Israel, Japan, the United Kingdom, France, Austria, Sweden and Taiwan have all issued warnings advising people to stay away from parts of Thailand while protests are expected to take place. The Foreign Minister Surapong Tovichakchaikul stated his concern, saying that the protesters are not thinking of the country’s image, and that the demonstrations will interfere with the economic success of the peak tourist season. The ASEAN countries have not issued any warnings to their citizens, while the Tourism Authority of Thailand (TAT) reassures the public that inbound tourism should remain unaffected, for the reason that people booked their trips months in advance. However, Chinese tourists are quick to cancel their flights in the face of unrest, as well shying away from a new tourism regulation that has increased the prices of tour packages to Thailand. 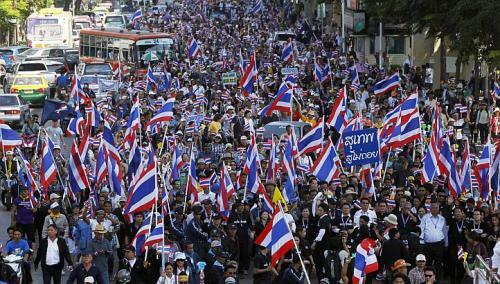 Thousands of protesters marched through Bangkok on Monday, seeking to raise pressure on the Thai government over its controversial political amnesty bill. The opposition, which organised the demonstration, fears that the legislation could allow fugitive former prime minister Thaksin Shinawatra to return. More than 10,000 protesters joined the march to the Grand Palace from a railway station in the city where they had held several days of rallies since Thursday, according to police. “Today is a significant day when we will march,” said opposition MP and former deputy premier Suthep Thaugsuban. “It is time to unite to fight and ask people who love the country to protect our nation,” he told a cheering crowd. More than 1,000 people, including office workers on their lunch break, joined a second demonstration against the amnesty in the Silom financial and shopping district. 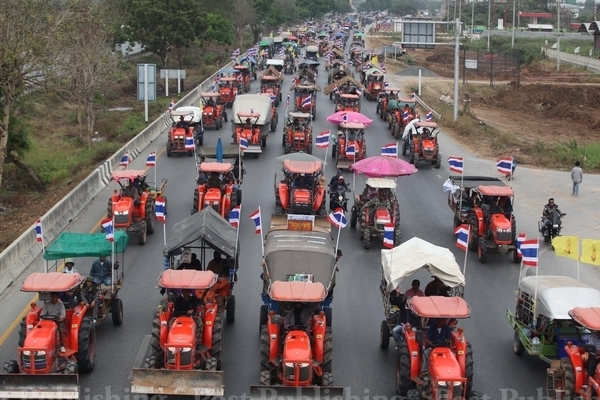 Small protests were also reported in several provincial towns in northeastern Thailand — usually the pro-Thaksin heartland. The former telecoms tycoon, who was toppled in a military coup in 2006, remains a hugely divisive figure in Thailand. His younger sister Yingluck Shinawatra is now prime minister. Supporters of the amnesty say it will draw a line under years of turmoil, culminating in mass pro-Thaksin “Red Shirt” protests in 2010 that left more than 90 people dead in a military crackdown. But many Red Shirts also oppose a blanket amnesty, calling for justice for past abuses including the killing of unarmed protesters. 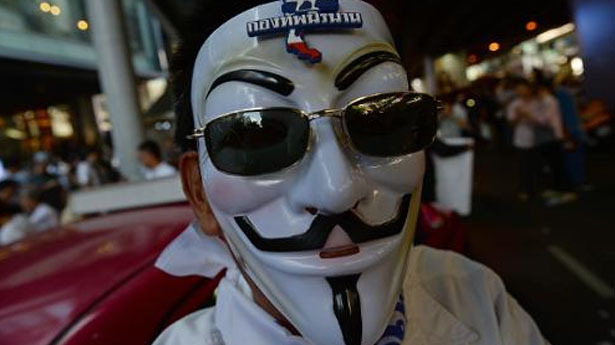 A faction of the Red Shirt movement plans to hold its own protest in Bangkok on Sunday. “We support a bill but not a blanket one,” said Red Shirt activist Sombat Boonngamanong, adding that he hoped 10,000 protesters would attend the demo at an intersection in the city that was the focus of the 2010 protests.